Florida Insurance Agency – Business & Family Insurors Inc. This Florida insurance agency – The Business & Family Insurors Inc. protects your personal and business finances with coverage through our insurance agents in Largo, Florida. 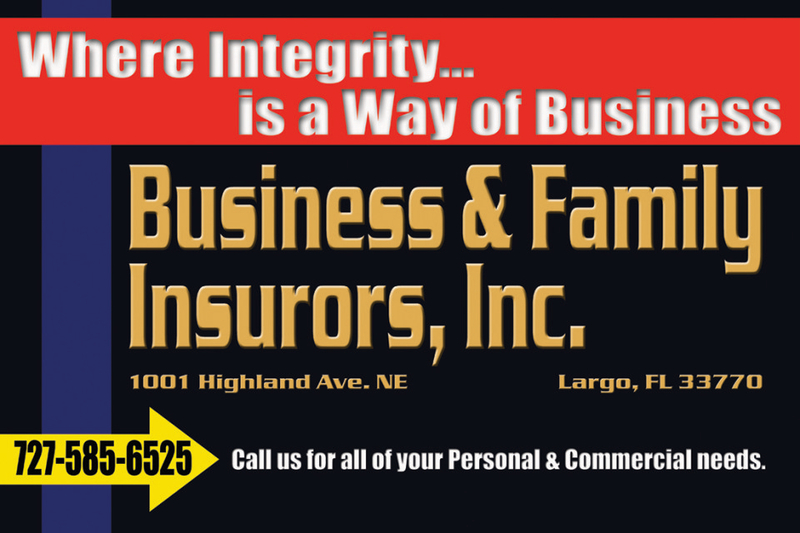 Since 1982, Business & Family Insurors have been serving the insurance needs of residents and businesses of Largo, Florida and the Bay Area. When you come to Us we treat you like a person rather than a number. We still believe in old-fashion, hands-on service that includes solving all of your insurance needs and problems. Depending on your requests, We will re-market your policy to make sure that you receive the best rates from us. 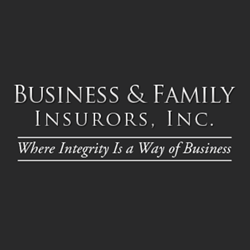 Business & Family Insurors are the answer to all of your insurance needs and problems. We still believe in personal service. Additionally, Business & Family Insurors is a Florida insurance agency that gives a level of choice that most other agencies do not provide. Our customers say that we are easy to work with and that they know we are going to be around for a long time. We have more than 50 years of experience and we’ve always had the same motto, “where Integrity is a way of business.” We earn your business by delivering first-class service.